Now you’ll be able to sleep on long-haul flights and doze off any time of the day, thanks to the iMask. 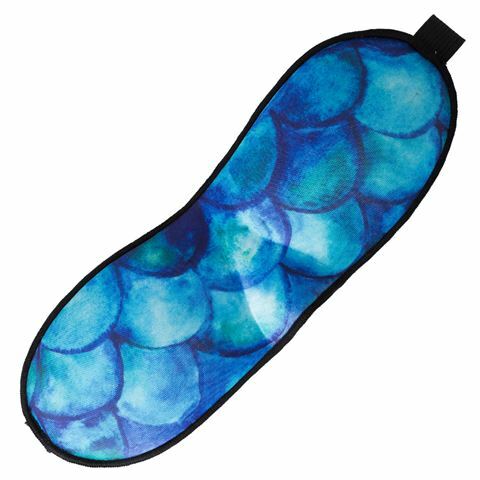 Crafted from lightweight fabric, this eye mask completely blocks out bright surroundings and is designed to prevent smudging of eye make-up. The adjustable Velcro strap closure fit any head size, while the contoured design of the mask directs pressure away from your eyes, providing you with maximum comfort. Prevents smudging of eye make-up. Contoured design directs pressure away from your eyes for maximum comfort. Presented in an Annabel Trends plastic display box. Dimensions (Excluding Straps): 9cm (h) x 24cm (w).